Sometimes you need a quick and dip for a party or as an easy appetizer. This is simple to make, but dressed up with a little rum in the beans, some chile in the vegan sour cream, and topped with multicolored heirloom tomatoes, it makes an appealing presentation. Recipe and photo from The Great Vegan Bean Book* by Kathy Hester ©2013, Four Winds Press. Photo by Renée Comet. Reprinted by permission. Layer 1, beans: Add the beans, lime zest and juice, rum, and chipotle powder to a food processor and process until smooth.You may need to scrape down and process a bit more. Spread on the bottom of your serving plate. Layer 2, sour cream: Combine the sour cream and chilies in a small bowl. Spread over the beans but leave a bit of the beans showing. 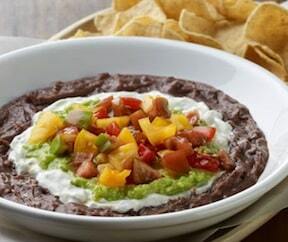 Layer 3, green guacamole: Mix together the mashed avocado and the salsa verde. Spread over the sour cream. Layer 4, multi-colored heirloom tomatoes: Sprinkle the tomatoes with the smoked salt and layer over the top. 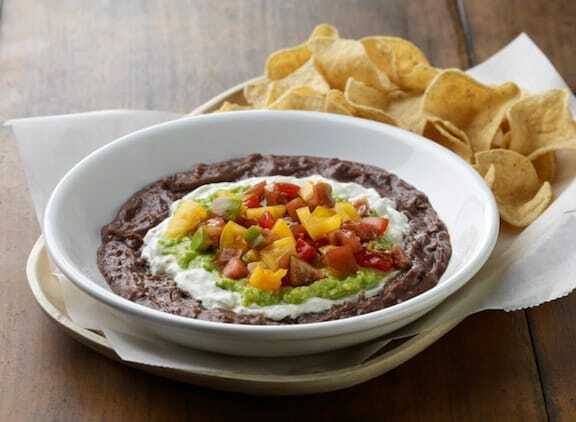 Serve at once with tortilla chips. 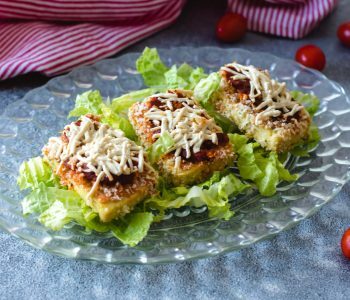 Here are more tasty vegan appetizers. For more healthy snacks, visit Snacks and Dips. *This post contains affiliate links. If the product is purchased by linking through this review, VegKitchen receives a modest commission, which helps maintain our site and helps it to continue growing!